Pardot is a business-to-business (B2B) marketing automation software by Salesforce. It includes features like lead nurturing, email marketing, return on investment (ROI) reporting, and more. In this article, we cover Pardot reviews and pricing. Ready to get started? Request a demo. Users who gave Pardot a positive review mentioned that the software is very helpful in sales management. They said that it equips them with tools to create and deploy online marketing campaigns. Users who gave Pardot a negative review commented that while the software is equipped with tools to help with business management, it becomes a challenge to learn all the features and tools. Some also wished for a design studio that will allow users to create more custom landing pages and form. Pardot pricing depends on three subscription options that are billed annually: Growth at $1,250 per month, Plus, at $2,500 per month, and Advanced at $4,000 per month. The main difference between the plans include the number of automation rules, integrations, leads tracking, and the number of domains. Customers can opt-in for Sales Engage for an additional cost of $50 per month, billed annually. 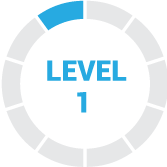 Ready to get started with Pardot? Request a demo. 6 Best Email Marketing Software 2018: Reviews & Pricing Guide: Email marketing software is used to create and send targeted email campaigns to your customers. We compared the best email marketing software and identified the top six for your business. We evaluated price, list capabilities and segmentation, ease of use, analytics and reporting, app integration, customer service, and additional features, and identified the best software overall. Who Can Benefit Best From Using Pardot’s Marketing Automation Services? Both marketing and sales teams use marketing automation. Although this technology brings the two together, marketing and sales teams use marketing automation in different ways. What Are the Advantages of Using Marketing Automation? Primarily, companies should use marketing automation to find and nurture leads, close more deals, and maximize ROI. Have you read these Pardot reviews and are still not sure if it’s the right fit for you? Read our reviews of all marketing automation software providers or check out one of these three Pardot’s competitors. It is an effective tool, being specific, the ROI function, helps in direct relationships with customers. It is innovative, allows the organization of tasks and projects to properly manage an effective sales management. It’s easy to integrate Salesforce and improve work activity. Setting is not as simple as I expected and the price is not stated, specifies to me it costs me to pay for it. I knew what problems I would find long before I started using it. It’s very easy to use and has a a vast knowledge library. I wish it had a design studio that allowed us to create more custom landing pages and form. Compared to our previous marketing automation resource, Pardot is much more user friendly. 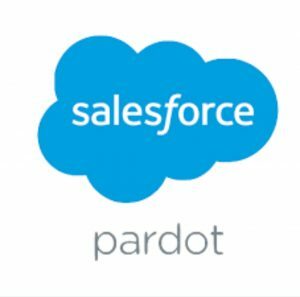 We just moved from Oracle to Salesforce, so the move to Pardot made sense. It works well with some of the other platforms in the Salesforce Marketing Cloud. Since it is part of the Salesforce Marketing Cloud, it’s not as robust as our previous marketing automation platform. I wish I had known of all the other resources within the Salesforce Marketing Cloud. Pardot has excellent customer service. When I reach out with a technical issue, I usually get a response from a human within 24 hours. I appreciate that the response appears to be written by an actual person rather than a canned response that a lot of companies do. The rate of product feature additions and improvements could be better. They seem to add a minor feature every 4-5 months. The Engagement Studio is nice, but I haven’t seen any improvements in the last year or two. There are some areas with that where they could add a little more complexity. My company is somewhat similar to an agency, where we have multiple clients. I wish I could have done more investigation into the ways you could segment prospects in Pardot. I think the way they do it is ‘okay’ but it isn’t quite built for that yet. I don’t think this is necessarily a fault of Pardot, just something I wish I would have known beforehand.